The club receives six awards per year, each worth £250, with the recipient choosing how to spend the money. We are very grateful to the Jack Petchey Foundation for this valuable contribution. 2018: Vihaan Kelkar, Aarav Rao, Prisha Bedi, Ashwin Sajilal, Qaim Shah, Narzm Mohammed. 2017: Harry Smith, Jamie Britchford, Helen Shields, Nishant Bithal, Mohsin Rehman, Jeevan Kathuria. In addition, we have benefited from a number of Jack Petchey Foundation Leader's Awards, worth £750, in recognition of the high calibre of our club coaches and helpers. In 2018 Adil Shah was recognised. Congratulations! The club also received a unique Jack Petchey Foundation Crystal Award in late 2015. To mark the Foundation's 15th anniversary, 40 of 'the most inspirational youth organisations' across London and Essex were recognised. We were thrilled to be selected among such worthy winners and to have our work with young people rewarded. An award such as this makes it all worthwhile. Congratulations to our 2nd XI, led by Rajiv Dash, who were Herts & Essex League Division 5 champions! Harwindar Singh was not only the division's leading wicket-taker, he also won the divisional award for the highest individual score. 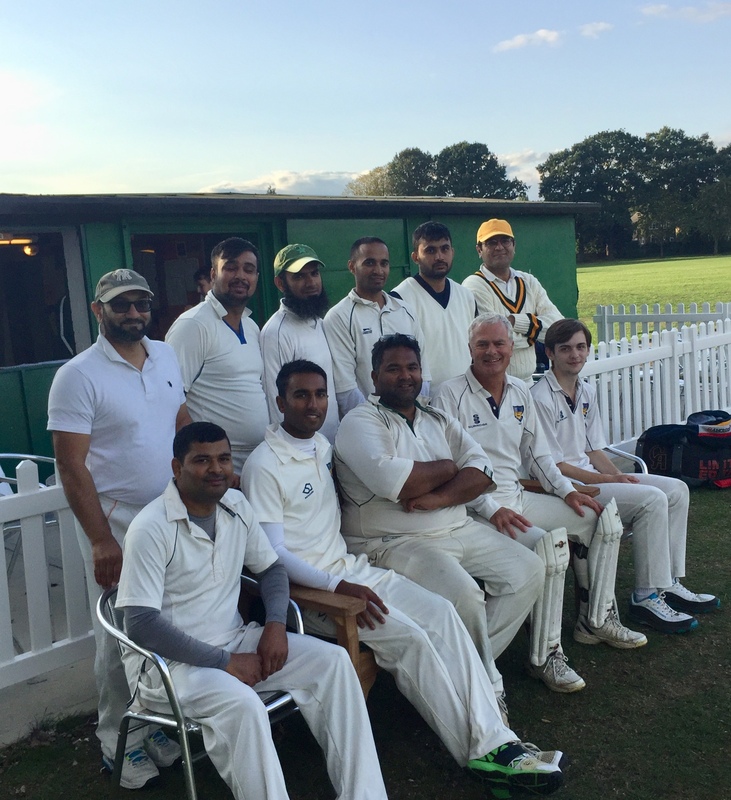 Well done also to our 1st XI, led by Aleef Hossain, who achieved a fantastic third-place finish on their return to the top Division 1 of the Herts & Essex League. Meanwhile, our juniors enjoyed another excellent season. Our under-11s retained the MEDCB Hayden Davies Trophy with a very comfortable win over Oakfield Parkonians in the final, scoring 169-0 in 20 overs and bowling Parks out for just 69. On their debut in the county-wide Peter Coe Cup, our under-12s finished a creditable third in their group and Jeevan Kathuria scored the first ever century by a club junior. And our under-13s were runners-up in the midweek Jeff Rodriques Trophy. 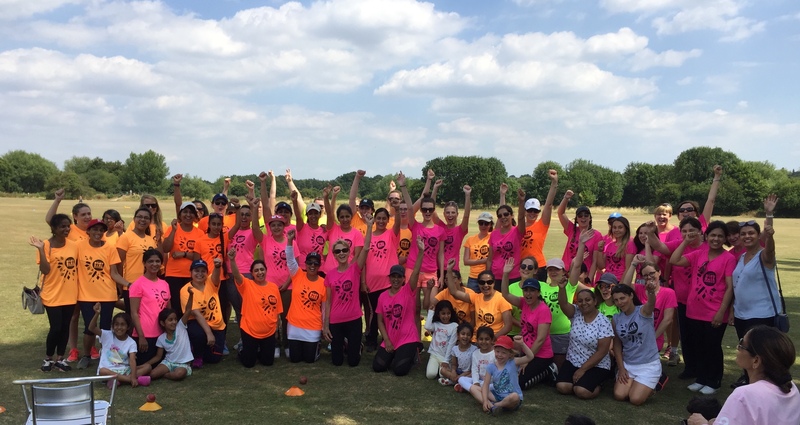 And our newly formed women's section hosted a hugely successful softball festival! PROMOTION FOR THE 1ST XI - AND INDIVIDUAL AWARD WINNERS! Well done captain Aleef Hossain and his squad who finished as runners-up in Div 2 and are playing in the top division of the Herts & Essex League in 2018! Sam Hill not only took most wickets in Div 2 (29), he also won the divisional under-18 Player of the Year award! The 2nd XI, ably led by Rajiv Dash, were in the promotion mix until the final week but eventually finished fourth in Div 5. Terry Henman's 36 wickets earned him the divisional bowling award, while Rajiv's return of 8-43 v Ardeley Walkern was the division's best bowling analysis. The performance awards were presented at the HECL dinner on 21 October by Essex legend Don Topley. 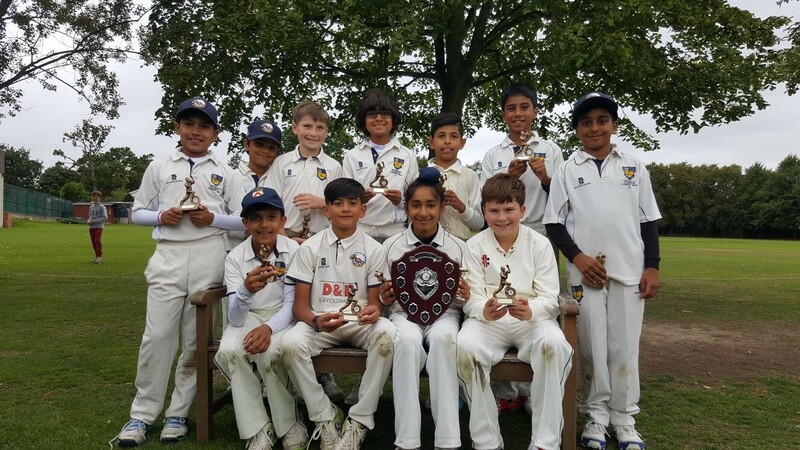 UNDER-11s WIN THE 2017 MEDCB HAYDN DAVIES TROPHY! A superb performance to round off a highly successful 2017 for the u11s. After losing the toss and being asked to bat, Mohsin Rahman's unbeaten 25 provided the anchor for the innings, supported through the order with some excellent running between the wickets. The slow, low pitch and damp outfield made it difficult to work out a par score, and the general view was that 107-6 from the allotted 20 overs was maybe very slightly below expectations. However, Loughton were strangled by two early run-outs from outstanding fielding and never recovered. The level of teamwork was fantastic and every player made a contribution as our opponents were dismissed for 57 - well done everyone and huge congrats to coach Dalbir Kathuria and all our support team. We're thrilled to announce that head of junior cricket Dalbir Kathuria has been awarded a 2017 ECB Outstanding Services to Cricket Award in the 'Heartbeat of the Club' category. Dalbir received his award at a presentation at the County Ground. Dalbir follows groundsman Fred Rust, who received an OSCA in 2016 in the 'Get the Game On' category; and secretary and pavilion manager Rob Glendinning, who was recognised in 2015 in the 'Heartbeat of the Club' category. We always strive to recognise the huge amounts of work put into the club by our dedicated volunteers, and it's fantastic when they are nominated for county and national awards as well. Our annual league for youngsters who are new to cricket is very highly regarded by the clubs and schools who take part, and by our County and District Cricket Boards. Here's a great gallery of pictures that show what it’s all about. UNDER-9s: 2016 MET BOARD CHAMPIONS! South Loughton 310-8 net 280, Wanstead 280-10 net 230. A fantastic performance by our under-9s whose running between the wickets, ground fielding and throwing at the stumps all proved decisive in the final played at Woodford Wells CC on 4 September. Our boys and girls really raised their game when it mattered most, to the delight of the large crowd cheering them on. 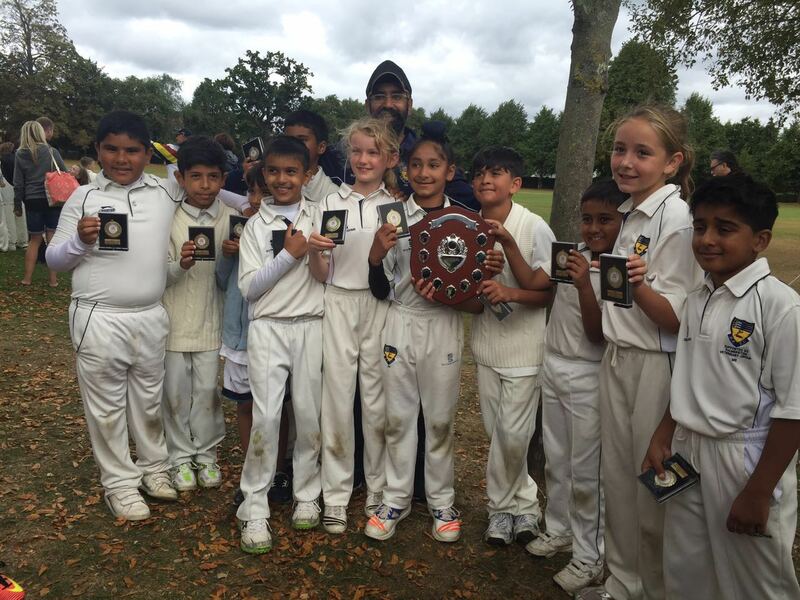 Massive congratulations to Dalbir Kathuria and Jatinder Bedi for their superb coaching and to all parents for giving such sterling support throughout the season - this success is your reward as well as the players'! Welcome to South Loughton CC. We consider ourselves one of the most progressive medium-sized clubs in Essex. We are a registered Community Amateur Sports Club and ECB Focus Club, and were one of the first dozen clubs in England to gain Clubmark accreditation. In 2018 we celebrated our 80th anniversary. Founded in 1938, we field two Saturday XIs in the Herts & Essex League. The 1st XI were Division 1 champions in 2007, runners-up in 2009, and in 2018, on returning to the top division, finished third. 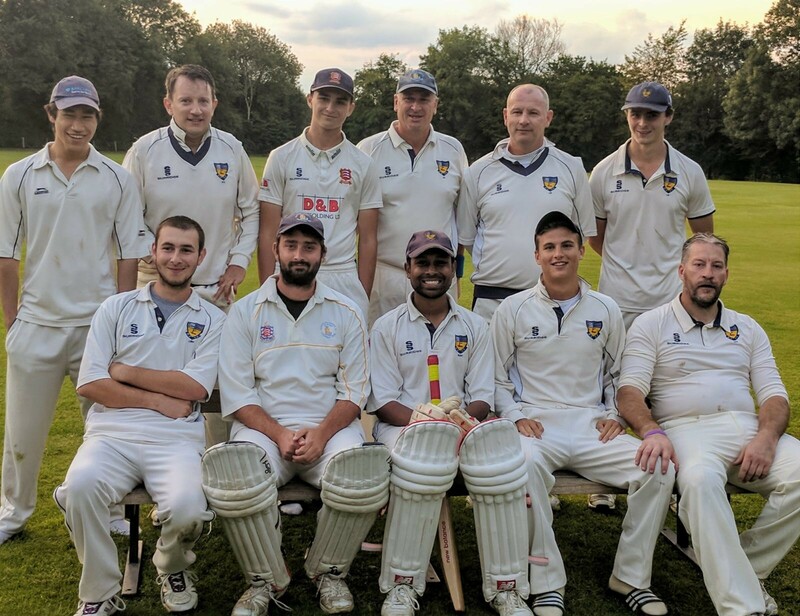 The 2nd XI narrowly missed promotion from Division 5 in 2017 but made no mistake in 2018, finishing as champions. Unlike many local clubs, we continue to play Sunday friendly cricket. We have an established fixture list for those who don't wish to play Saturday league cricket and to give our younger players a constructive and enjoyable introduction to senior cricket. Previously our Sunday 1st XI won the Middlesex & Essex League title in 2013, having been runners-up for the three seasons before. We also work in partnership with Mathews CC, enabling us to run a Saturday 3rd XI in which the emphasis is on social cricket and the development of young players. We have a very popular and successful junior section, offering high-quality coaching and matchplay for children aged 5 to 15. We have a committed team of ECB-qualified and insured volunteer coaches who, along with our managers and helpers, hold enhanced DBS disclosures. In 2019 we will field teams in the under-9, 11, 12, 13 and 15 age groups. Many of our teams have won Metropolitan Essex District Cricket Board competitions within the last five years. In 2018, 12 boys and girls represented Essex and London age-group teams. We have particularly strong and enthusiastic under-9 and under-11/12 sections, playing both soft-ball and hard-ball cricket to enable players of all standards to learn the basics of the game, get involved and have fun. In May 2005 we were chosen by the ECB to deliver a FUNdamentals programme for six- to nine-year-olds. This proved extremely successful and we still run a hugely popular and highly respected FUNdamentals League for this age group each summer. You can see what it's all about in this fantastic film produced by the Essex County Cricket Board. We are also part of the ECB's 'All Stars' programme which offers a fun and energetic eight-week introduction to the game for children aged five to eight. In March 2003 we became only the 12th club in England to gain Sport England's prestigious 'Clubmark' accreditation. We were re-accredited in 2007, 2010 and 2013 and 2017. This demonstrates that we are 'a safe, effective and child-friendly sports club'. We are very proud of our achievements, our commitment to community sports development, and the happy and constructive atmosphere at our club. We hope to welcome you along! If you’re looking for a club to join as a player, coach, helper or just to socialise over a drink, you’ll be very welcome at South Loughton CC. To find out more about what we offer and how you can get involved, contact: Dalbir Kathuria (dalbir77@hotmail.com) for juniors, and Andrew Shields (cricketshields@gmail.com) for adults. If you have friends who want to get involved, we welcome everyone, no matter your level of experience. 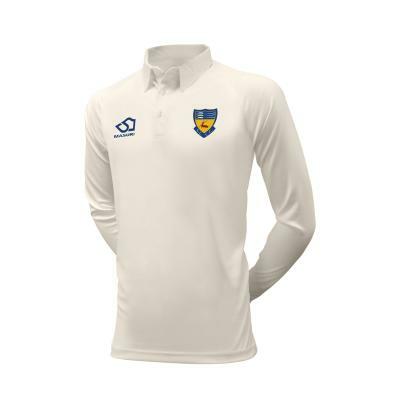 CLUB SHOP - BUY YOUR BRANDED SOUTH LOUGHTON CC KIT! NXT Sports are proud suppliers of club teamwear to South Loughton CC. We are delighted to offer a range of items including playing, training and leisure clothing, all with South Loughton CC branding. Click this paragraph to visit our online shop where you can buy your South Loughton CC branded cricket clothing. As a registered Community Amateur Sports Club (CASC) we are entitled to claim Gift Aid on all donations to the club. This means that for each £1 donated to the club, the government will top this up by an additional 27 per cent. The only proviso is that the donor must be a UK tax payer and confirm as such. This is an important concession and we should take advantage of it while the government’s generosity lasts. Please contact greg_westham@hotmail.com for details of how to make a donation to the club through a bank transfer. We cannot claim gift aid on subscriptions and match fees but we are allowed to take donations into account when setting the level of subscriptions.